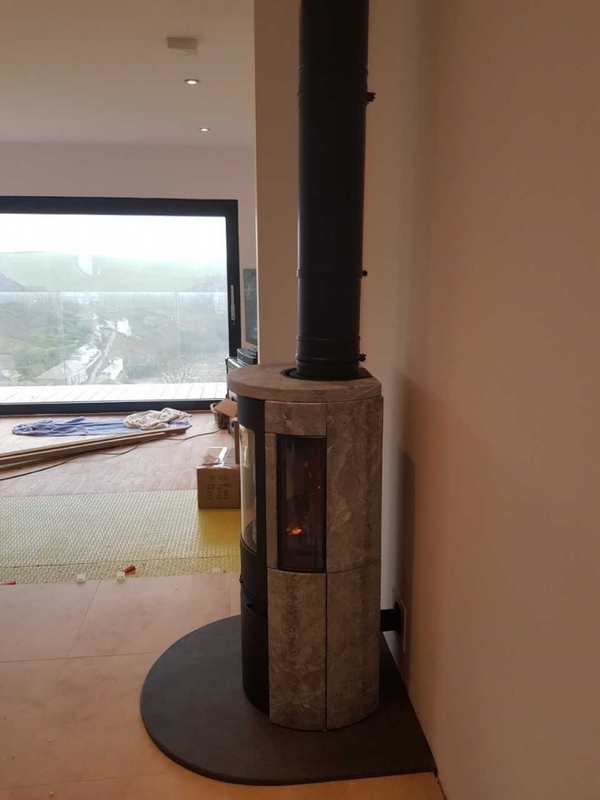 Contura 556T on a D shaped hearth wood burning stove installation from Kernow Fires. 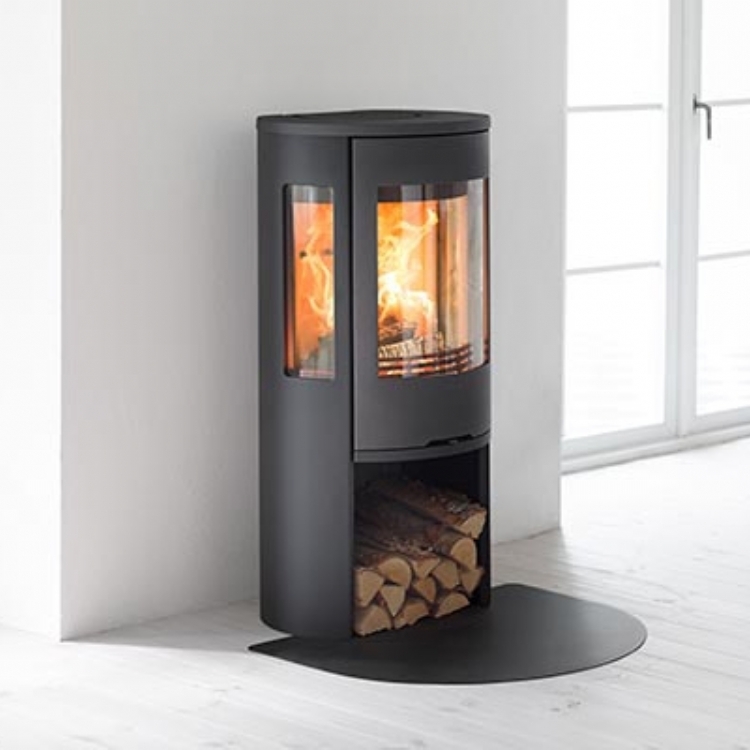 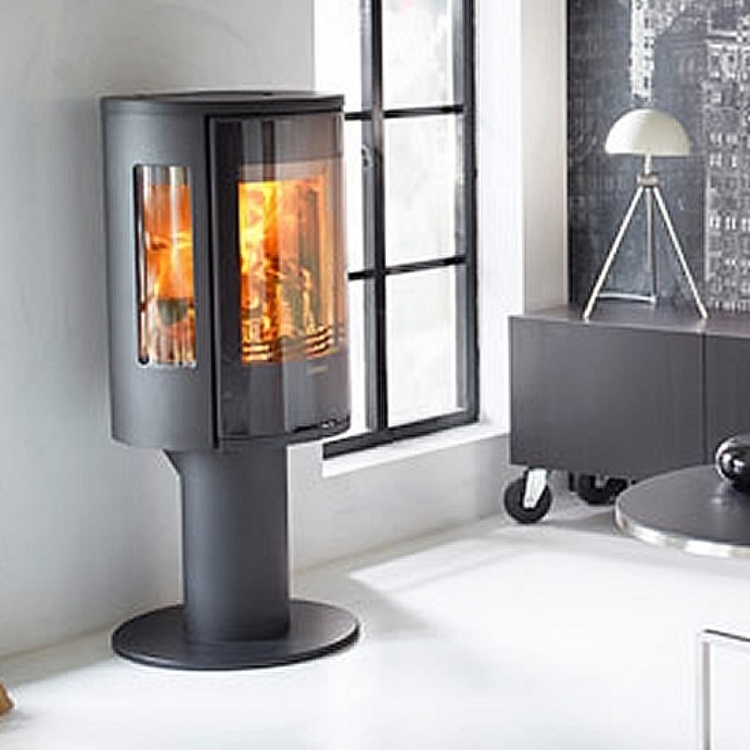 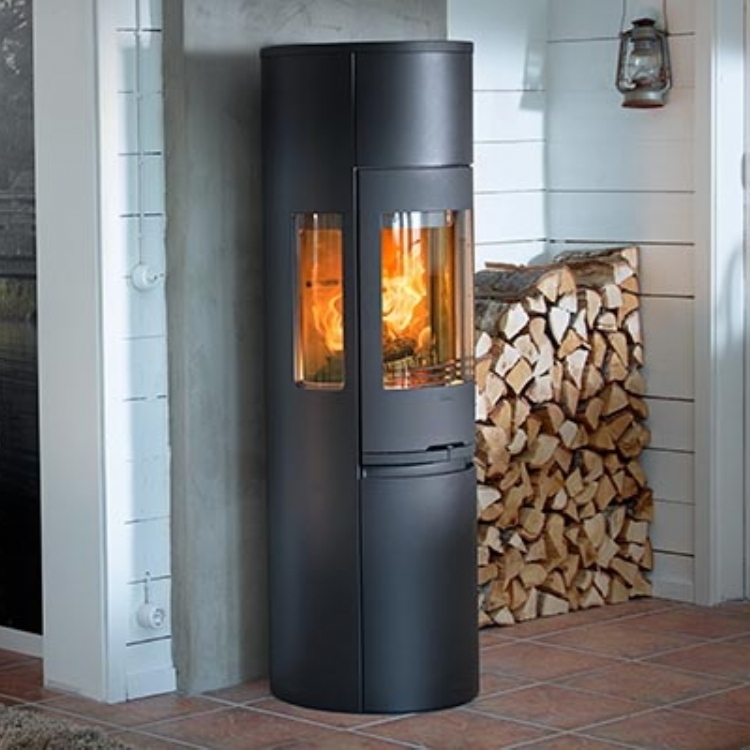 The Contura 556T is a lovely fire with soapstone cladding which retains heat long after the fire has gone out. 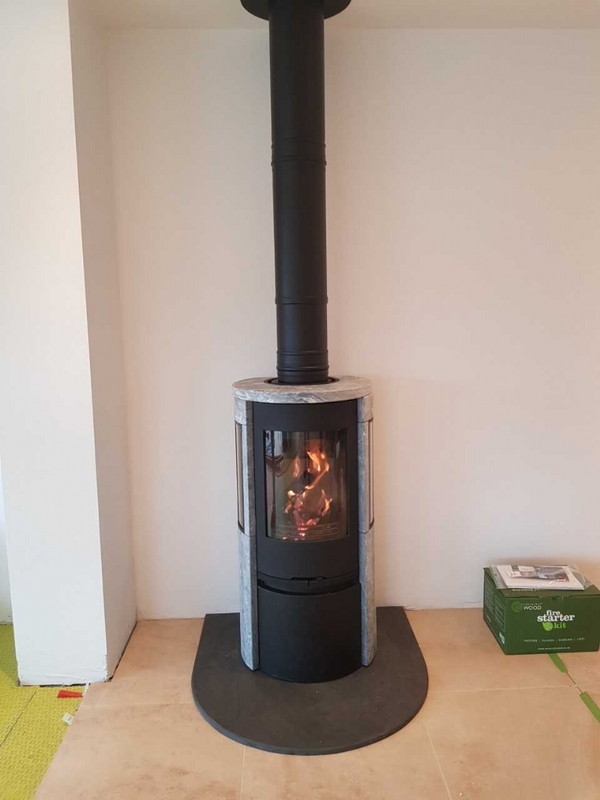 We've fitted here using a twin wall chimney system with a bespoke hearth.